A caregiver is one who does the duties of offering assistance to the seniors or the disabled receiving home care. 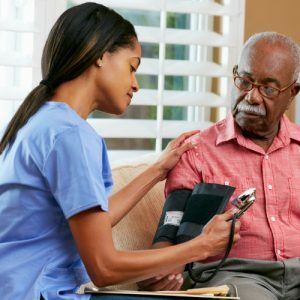 In home health care Bermuda, skilled caregiver deals with health care which is similar to the care being given in the hospital, but being given in the comfort of one’s home. Non skilled services of a caregiver in Bermuda, is assistance in terms of daily activities being taken by the senior or the disabled loved one. A caregiver in Bermuda primary concern is the patient, monitor and note changes in the client and report to the concerned. 24/7 hour care is offered by the caregivers in Bermuda. Health services offered at home for injuries or and illnesses. Instructions to the caregiver are given by a doctor. Such as; Wound care, therapy, pain management, injections and body movement training. They can be referred to as non medical custodial care which is assistance of the patient in the daily activities of living, mainly aimed to provide comfort. A caregiver in Bermuda will ensure to provide companionship to the patient other undertaking are also inclusive. They are such as; cooking, glooming, medication managing, transportation and transferring, housekeeping and hygiene related duties. Bermuda in home care is your partner in this journey. A caregiver aims at ensuring patients better living at all times. Whether in home health care or in home care, a senior or disabled need the love and affection of the caregiver, family and community. Let us all show some love to those in dire need of it.